Being Frank: All Work and No Play . . . The setting: a frozen mountain retreat in the midst of winter, cut off from the rest of the world until the spring thaw arrives. The caretaker family looks forward to a secluded winter, free from distraction, to help the three of them heal from the familial stress fractures life forces them to suffer. 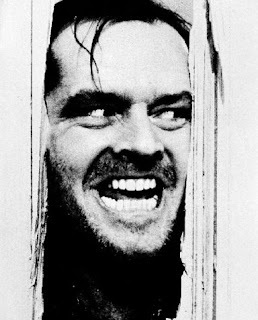 While it seems the setting is ideal for putting a family back together, there is a problem - all work and no play makes Jack a dull boy. Happiness, or at least its pursuit, resides in the Declaration of Independence as one of humanity’s unalienable rights. We have the responsibility to discover our own happiness and exactly how to achieve it, absent the interference of a tyrannical and despotic government. Because the process of finding individual happiness falls on our shoulders, we often find ourselves missing the mark. Samantha and I recently had a conversation in which we both discovered that we had possibly just done that. 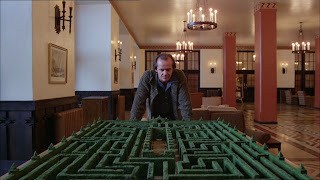 While I love both the movie and the book versions of The Shining, I experienced the movie first, and so its impression upon me runs deeper. 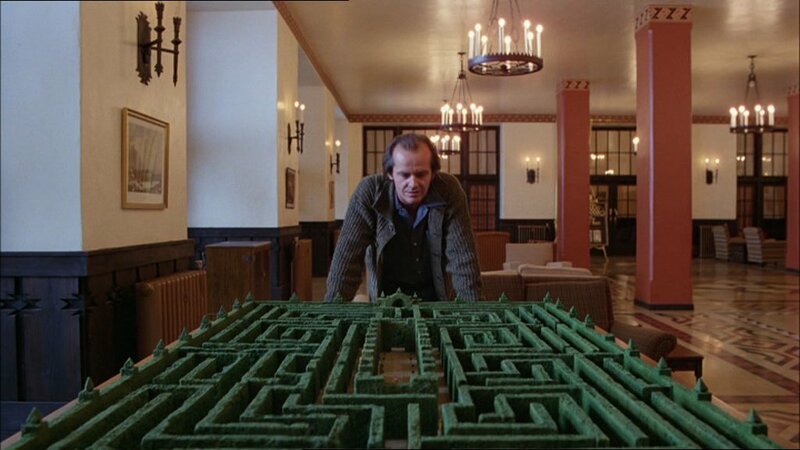 Stanley Kubrick’s masterful directing captures the isolation and loneliness felt by the Outlook Hotel’s winter family. Accompanied by a haunting collection of modern music by Ligeti, Penderecki, and Bartok, the score broods, summing up the overall mood through the constant threat of the Dies Irae - the Day of Reckoning approaches. Step back and take stock of your life periodically. In doing so, you might discover that you have taken a wrong turn or stayed too long on a short path. Life doesn’t have GPS; a computerized voice doesn’t instruct us to decide this way or that and so we find ourselves lost sometimes. Discovering our wrong turn and rectifying the mistake puts back in the right direction. The Torrance family sought to find healing in the solace of the mountains. Jack hoped to mend his relationship with his wife and son while beating his alcoholism - a reversal of his normal behavior. He also hoped to find a novel. So, as the winter settled in, he began to work. And work. And work. During Samantha and my analysis of our own recent life, we discovered that we do not take enough individual time for ourselves. We do other things than just work our businesses, but our lives fill up quickly with obligations to other people, other activities, and other organizations; we find ourselves scheduled to death by our own hand. 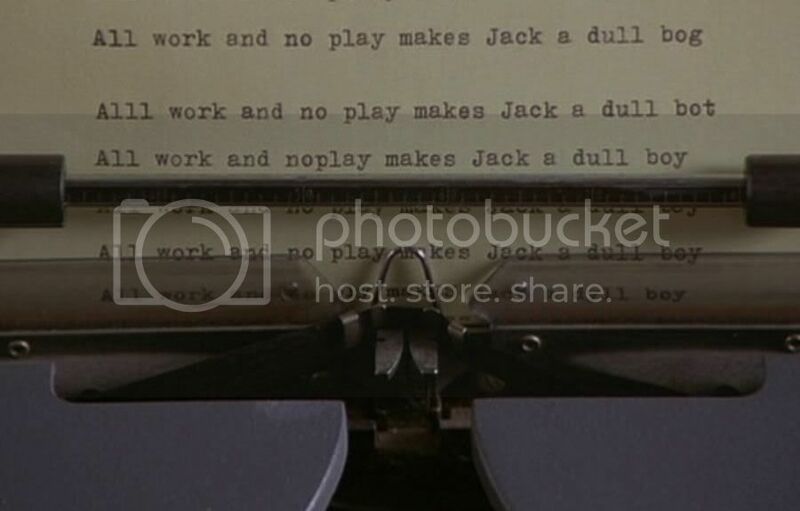 Jack Torrance discovers this same problem the longer he spends pounding away at his typewriter. The unfortunate consequence of taking a winter sojourn in a mildly haunted hotel and working nonstop? As the movie says - all work and no play makes Jack a dull boy. He goes crazy and attempts to kill his family. While we may not be sequestered in a lonely haunted hotel, the message is the same for us as it was for Jack. Left to our own overworked lives, without manifesting change, we would find ourselves heading down a similar slippery slope. Death by axe is not a typical result, but don’t doubt that your relationships could end up broken and mangled, not to mention your own happiness. Take stock and make sure you are not headed down the same path as Jack. You might find yourself frozen out of happiness.